HACC Lancaster Humanities Symposium Theme for 2017: "Shaking Out Shakespeare"
The theme for this spring's Lancaster Campus Humanities Symposium was "Shaking Out Shakespeare." During 2016 and into 2017, the world has been celebrating the 400th anniversary of William Shakespeare's death (April 23, 1616). There have been numerous events around the globe to mark this anniversary, including the Folger Shakespeare Library's loaning out of original copies of Shakepeare's First Folio to libraries which applied to host the historic exhibition. One copy was on display locally at Elizabethtown College's High Library. HACC Lancaster followed up this special anniversary year with it's 3-day Symposium featuring talks and activities that explore Shakespeare's works and their influence both during his time, and continuing into the present and future. This guide provides links to information and resources about Shakespeare's impact on our lives across subject areas, which we hope will be useful long after the last Symposium presentations end. Located in Washington, DC, the Folger Shakespeare Library is a fantastic resource for learning about Shakespeare's works and life. It also provides programming celebrating Shakespeare's continuing influence on culture and society. 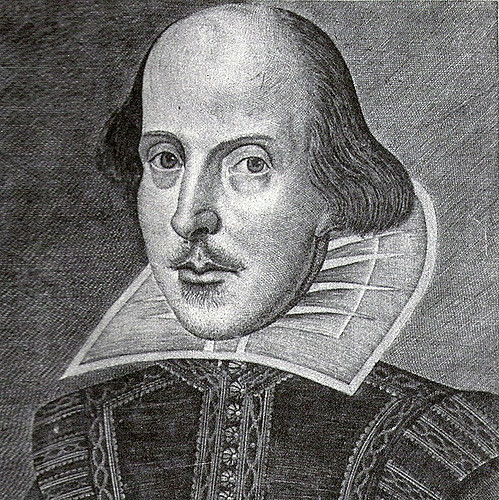 Photo by Tony Netone on Flickr at https://flic.kr/p/56xN24 of a black and white drawing of Shakespeare. Empowering student success. Inspiring lifelong learning.